SANTA CLARITA, Calif. – The 2018 Canada & New England cruise season offered by Princess Cruises showcases the fall foliage to iconic destinations along the east coast and offers the largest deployment ever with two of the cruise line’s newest ships – Regal Princess and Royal Princess. 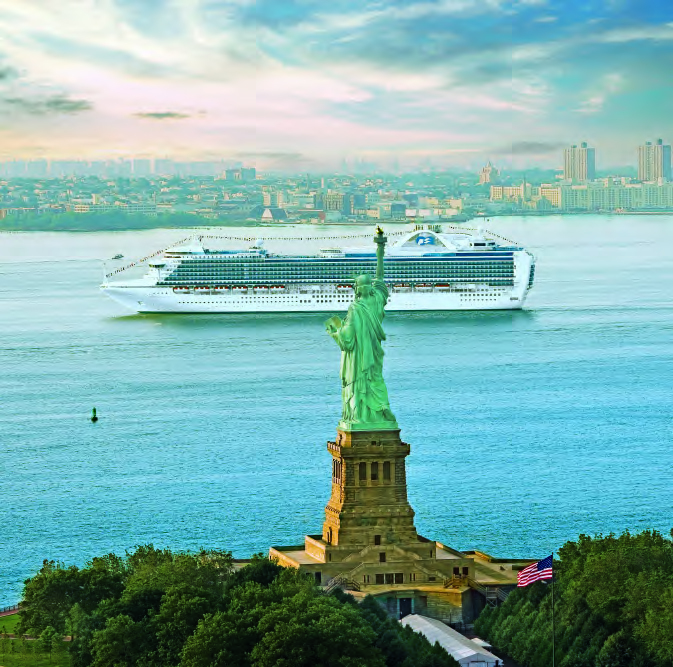 The 3,560-guest Regal Princess and Royal Princess, sailing for the first time together departing from New York and Quebec, offer 10 cruise departures on four unique itineraries, visiting 12 destinations in New England and Canada. “We’re excited to bring two of our newest ships to Canada & New England in 2018, so that more guests can enjoy the gorgeous fall foliage and famed destinations and landmarks in this region,” said Jan Swartz, Princess Cruises president. Royal Princess makes her maiden 10- to 11-day voyages out of Quebec and New York featuring overnight stays in Quebec on every voyage. These cruises visit Newport, Boston, Portland, Saint John (for the Bay of Fundy), Halifax, Sydney (Cape Breton Island), Charlottetown (Prince Edward Island) and Quebec. The 11-day cruises include an overnight stay in Boston. Cruises depart Sept. 25; Oct. 5 and 16. In addition, Royal Princess offers a 14-day Canada & Colonial America cruise from Quebec to Ft. Lauderdale featuring calls in Port Saguenay (scenic cruising of the Saguenay River), Sydney (Cape Breton Island), Halifax, Saint John (for the Bay of Fundy), Bar Harbor (for Acadia National Park), Boston, Newport, New York and Norfolk (for Williamsburg and Jamestown). This cruise departs on Oct. 26. Regal Princess sails on seven-day cruises roundtrip from New York, visiting Newport, Boston, Bar Harbor (for Acadia National Park), Saint John (for the Bay of Fundy) and Halifax. Cruises depart Sept. 22, 29; Oct. 6, 13 and 20. A five-day Canadian Atlantic Provinces Getaway out of New York is also being offered aboard Regal Princess, visiting Saint John (for the Bay of Fundy) and Halifax. This voyage departs on Oct. 27. 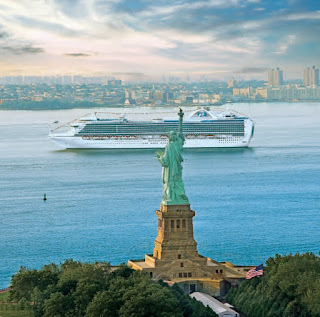 Historic America Cruisetour takes guests to such important places as Thomas Jefferson's Monticello estate, Colonial Williamsburg, Independence Hall in Philadelphia and the Gettysburg Battlefield. The Maple Explorer Cruisetour brings guests to beautiful Niagra Falls; exciting cities like the capital of Ottawa and French-flavored Montreal with guided tours of the Canadian Museum of Civilization, dazzling cathedrals and the historic 19th century Rideau Canal, a UNESCO World Heritage Site. Guests will also be treated to a lovely cruise through the picturesque Thousand Islands. Princess Cruises loyal past guests are eligible for a special promotion when they book before August 31, 2017. Captain’s Circle members purchasing a Canada/New England cruise or cruisetour will receive a savings of $50 per person (does not apply to third and fourth berth guests). Additional information about Princess Cruises is available through a professional travel agent, by calling 1-800-PRINCESS (1-800-774-6237) or by visiting the company's website at princess.com.